The status quo is never good enough, especially when it comes to the accuracy of your physical inventory counts. Our continuously-improving technology has been the benchmark in the industry for nearly 40 years, and now we’ve taken it to a whole new level with CheckPoint IQ® and Interactive Mapping. 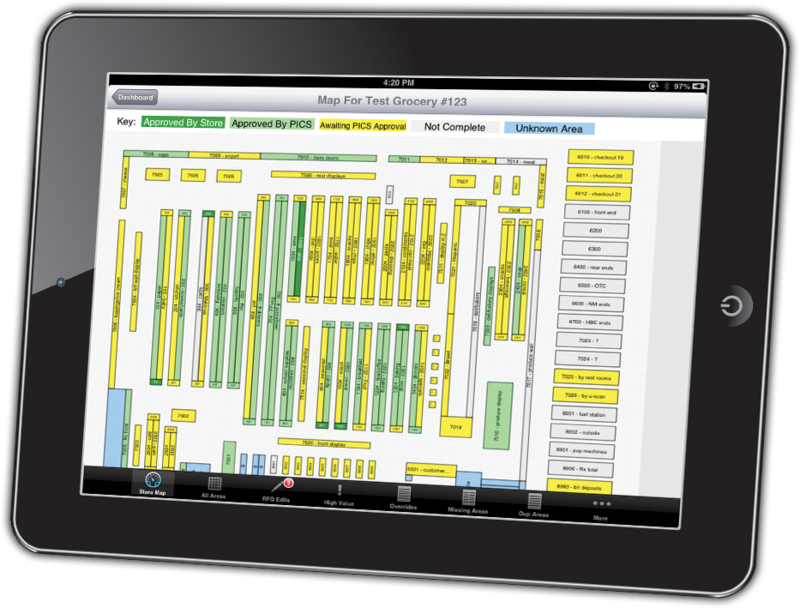 This revolutionary new inventory auditing technology allows real-time monitoring, drill-down auditing from a single screen, the ability to print reports from anywhere in the store, and numerous other features. It also allows our PICS manager to monitor remotely from the floor while keeping a high level of communication with your store personnel during the inventory. The efficiency and accuracy of your inventory counts will increase dramatically, and this technology is only available from PICS, “The Inventory Company Run By Inventory People.” For more information visit the contact us page or call a sales associate at (888) 303-8482.